“Fighting Senior Exploitation” was the Hoover New Horizons lunchtime program at the Hoover Senior Center, last month. Journal photo by Jordan Wald. But that hasn’t prevented unscrupulous individuals from generating huge profits with too-good-to-be-true scams specifically geared toward older Americans. The last generation to do business on the strength of a handshake, today’s seniors are often more trusting of others and easier to persuade than younger people. Seniors also are more likely to have a nest egg, own their home and have an excellent credit record – all attractive qualities to the con artist crowd. When an older person is told a grandchild is in dire need of funds or a lifesaving medication has become available for the right amount of cash, or a million dollars can be had for the payment of a few, requests for money are hard to resist. But knowledge is power, and in this case, learning to recognize scams for what they are is a powerful way for seniors to protect themselves from scammers. Such was the purpose of the recent “Fighting Senior Exploitation” lunchtime program at the Hoover Senior Center. The session was designed to update local seniors on the latest efforts to combat scams and exploitation targeting them and their contemporaries. Led by Paul DeMarco, the discussion featured three experts on the subject: Tony M. Robinson, postal inspector; Amanda W. Senn, acting deputy director of enforcement and general counsel for the Alabama Securities Commission; and Emily T. Marsal, general counsel for the Alabama Department of Senior Services. The program was a partnership of the Hoover Senior Center and Hoover New Horizons. The program, said Stewart, was an opportunity for seniors to talk about services and resources they can use to protect themselves from exploitation by scammers. It not only empowered the center’s members, it also educated the center’s staff on what to do if they suspect a senior is being abused, neglected or otherwise taken advantage of. 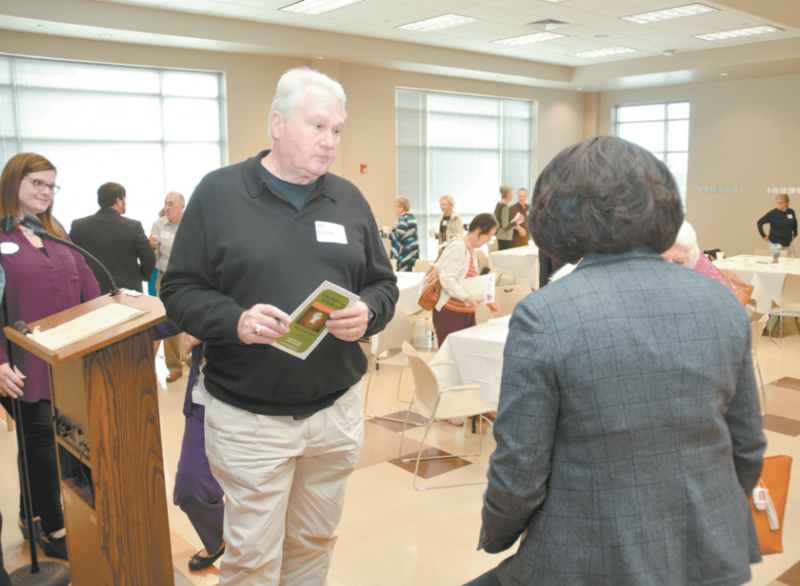 And while the center can refer those in need to agencies and services for help, Stewart said the seniors best equipped to deal with scams and other exploitative situations are those who attend training sessions and other events designed to keep seniors informed. She also said relatives and friends can help protect the seniors in their lives simply by taking the time to see and talk with them often. “Staying in touch with your loved ones on a regular basis or at least communicating with them frequently may help you pick up on signs that they may need your help/intervention,” she said. Though the idea of educating people about dealing with scammers is gaining traction as more seniors become victims of their schemes, it’s not a new topic. And though much of the current concern is directed toward seniors, it’s an issue that affects people of all ages. “Any age is at risk of falling prey to scams,” Stewart said. “Through this event, however, we tried to stack the odds in the good guys’ favor. We hope this helped them become more aware and even more inclined to become their own best advocate.